This is a NASA/ESA Hubble Space Telescope view of a very massive cluster of galaxies, MACS0416.1-2403, located roughly 4 billion light-years away and weighing as much as a million billion suns. 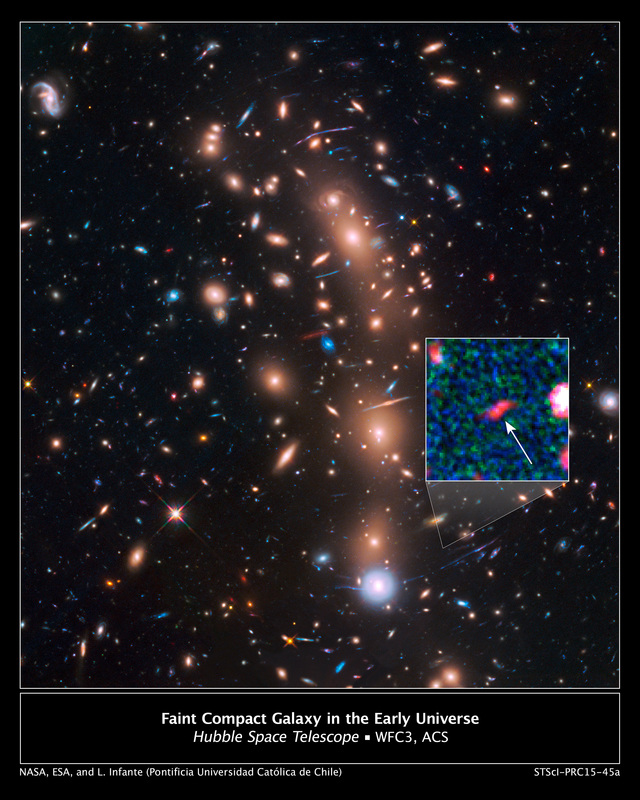 The cluster’s immense gravitational field magnifies the image of galaxies far behind it, in a phenomenon called gravitational lensing. 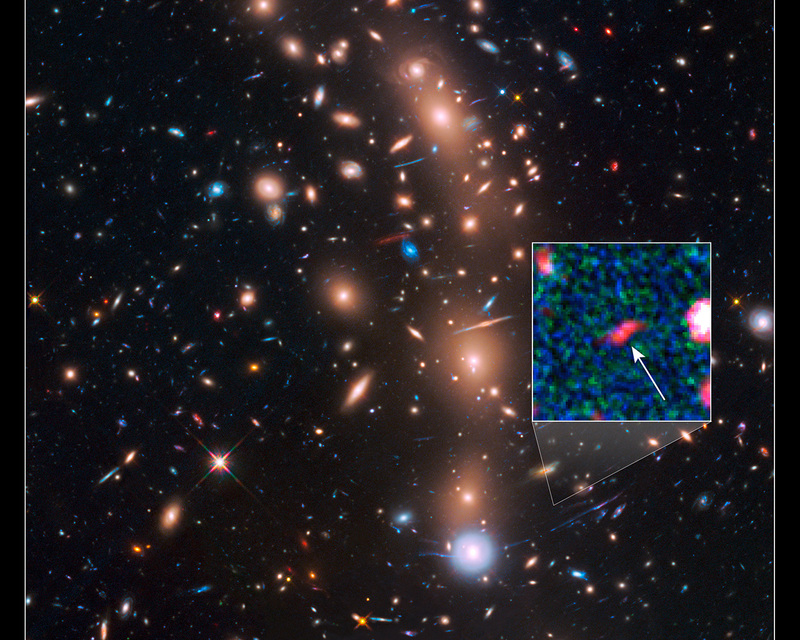 The inset is an image of an extremely faint and distant galaxy that existed only 400 million years after the Big Bang. 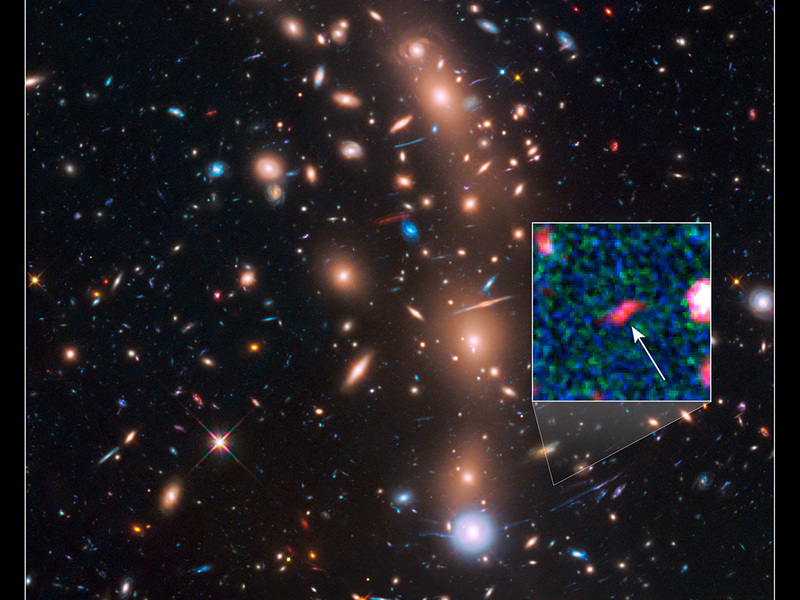 Hubble captured it because the gravitational lens makes the galaxy appear 20 times brighter than normal. The object is comparable in size to the Large Magellanic Cloud (LMC), a diminutive satellite galaxy of our Milky Way. It is rapidly making stars at a rate ten times faster than the LMC. 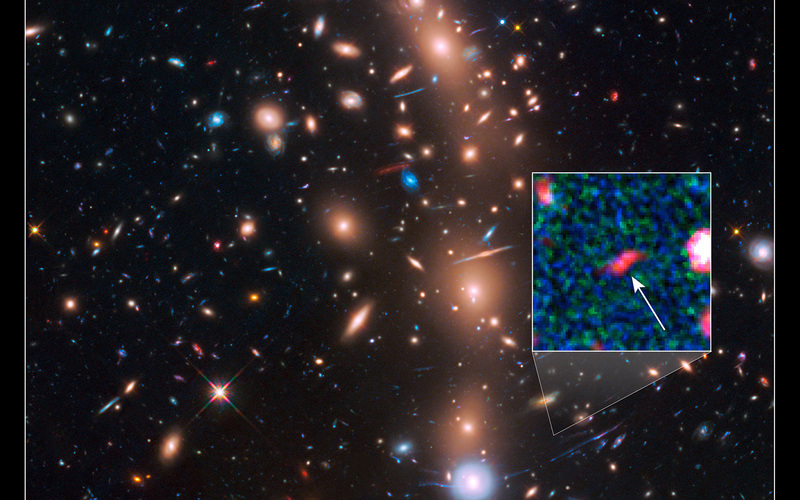 The object might be the growing core of what was to eventually evolve into a full-sized galaxy. The research team has nicknamed the object Tayna, which means “first-born” in Aimara, a language spoken in the Andes and Altiplano regions of South America.